What's the best way to eat an elephant? One bite at a time. Whether your goal is to write a book or complete a marathon, the biggest challenge is perseverance. 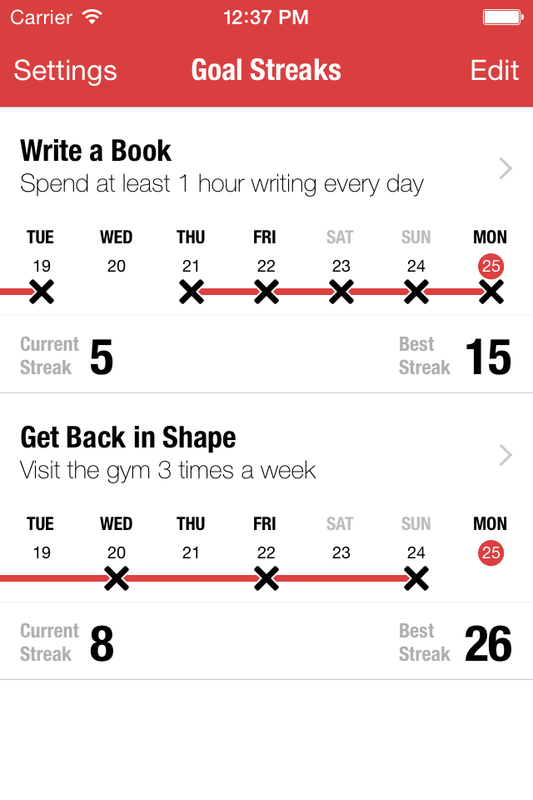 Goal Streaks helps you achieve your goals by tracking your daily progress and encouraging you to stick with it for longer and longer streaks. 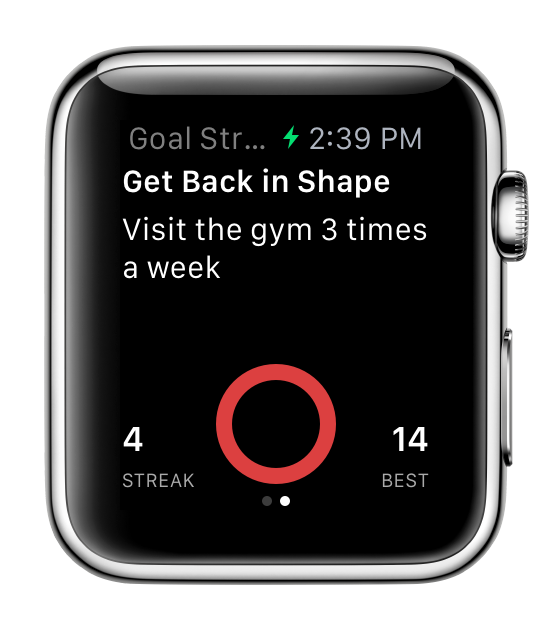 With the recent update Goal Streaks now supports Apple Watch devices. Keep track of your goals as easily as you check the time. Whether it's getting in shape or writing a book, the best way to achieve your goals is by taking regular, meaningful steps towards them. 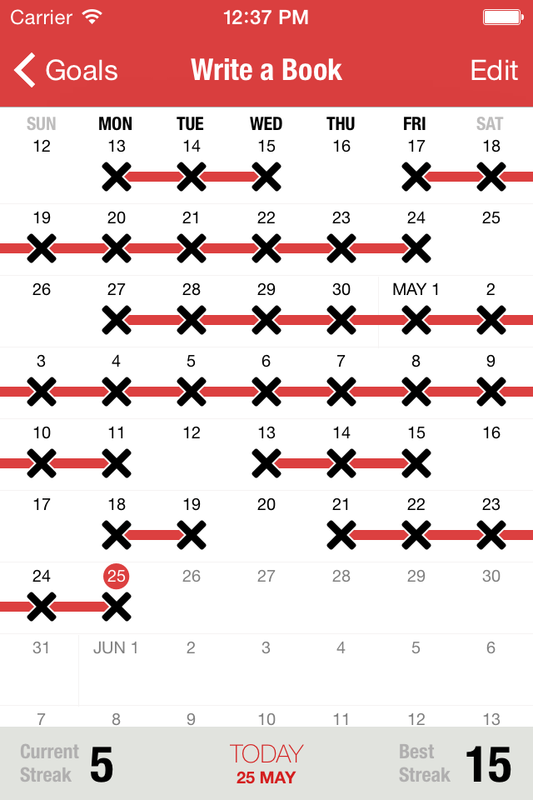 Build up a streak by keeping to the schedule you define and try to make an ever-longer streak. Describe your goal and the regular activity you take to achieve it. Make the activity as specific as possible. You can add as many goals as you like. 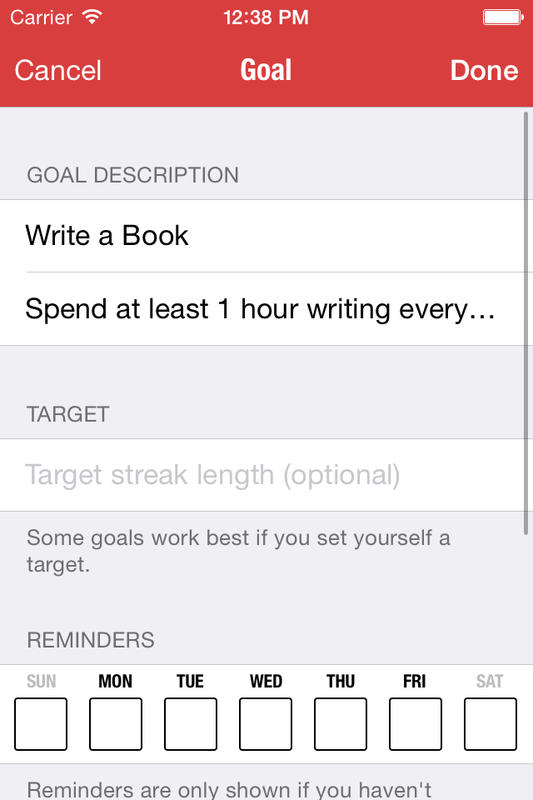 Use the drag handles to reorder them or tap the red buttons on the left to delete goals. Define the schedule for your goal activity that works best for you. Pick a pace that you're comfortable with. The most important thing is to build your goal streak - try to never miss a day! 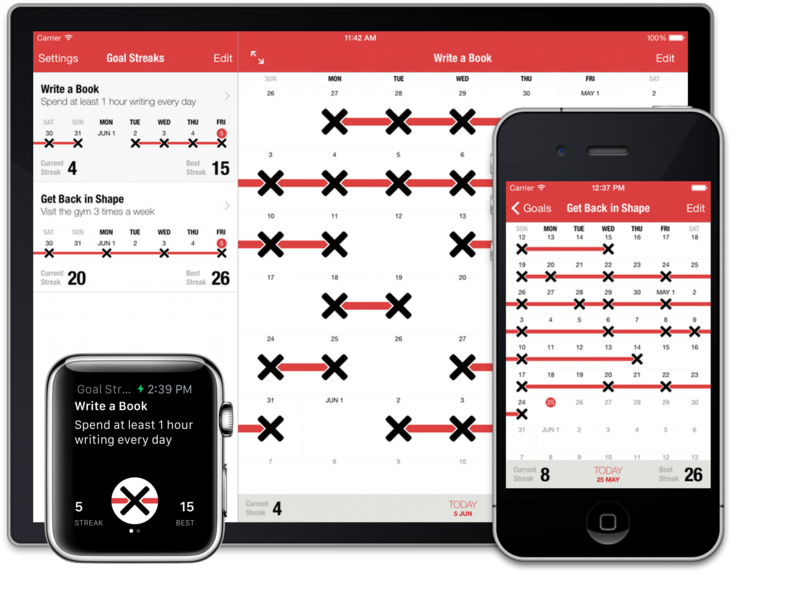 Very cool, well designed app that tracks your progress for personal goals. Using Goal Streaks for the last few weeks.. Can't stand it when I break a streak! Addictive stuff.